I’ve always had the feeling that school is just like a huge, everlasting video game. Think about it, every year there is a new level to pass and if you achieve a good score, you may even get a prize eventually. Step after step you see the finish line coming closer, till one day you manage to grab your diploma. At that point, you realize you’ve left your adolescence behind and you should be ready to enter your name in a new game: the game of adulthood. If you want to play this game successfully, you should be fully aware about what to do with all the “boosters” you have collected in those happy years: going to college, university or looking for a job, but do you really know it? The fact is, that it happens more and more often to ask my students, who are about to leave the high school, about their plans for their incoming future and receive as an answer: “well, I don’t know yet”, even those who are highly proficient. Their confusion often doesn’t seem to fade even when they eventually go to university, as I am told that many of them slouch from one university course to another one for many months of years before finding something it might suit them, or quitting. Hence, what really matters is not the finish line, but how you get there and the kind of person you have become and good grades cannot be the only proof of your future success in life, for sure. The main goal of teaching should be the development of the personality and skills of students, first of all, helping them develop successful learning strategies, otherwise they could not be autonomous and fully able to grasp material without the support of somebody. Such a student will never be able to develop any enthusiasm for any subject, as his main concern will be only to pull through in any possible way. For example, he will study for the imminent test, employing himself in storing as much data as possible, data that will be quickly forgotten as soon as the school day is over. A useless, frustrating effort. 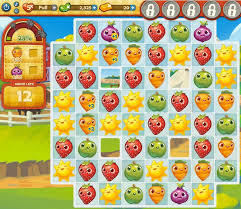 After all, if you are playing, a game of Farm Heroes Saga, for example, what makes you go to the next level, the strategy you have learnt after failing sometimes for days and days, or the exact knowledge of the number of apples, onions, carrots etc which were on that level? Good game, however. Internet provides us teachers with incredible opportunities for learning and one of our major task should be that of guiding them to the most advantageous use of such a powerful tool. Seven years ago, for example, I decided to create a website (tinkerbell.xooom.it), in which I stored all the material I found useful and attractive for my classes: information, links, on-line dictionaries and grammars, language platforms, dictations, games etc. It was just like my own virtual book, where they could find whatever they needed, but what I found particularly challenging was the fact that they were free to do the amount of work necessary for tests, exams etc. For some students 10 minute effort could be enough to understand a rule, for example, whereas others need hours. I wanted them to learn how to manage their time and be responsible for their choices and I guess it has worked. I also wanted them to discuss about the things they learnt and on this purpose I needed something more “alive” and creative, that’s why I started this blog experience: to offer different perspectives and provoke discussions. I was a kind of surprised when I learnt that what I was actually experimenting was normally defined a “flipped classroom”, that is “ a form of blended learning in which students learn content online by watching video lectures, usually at home, and homework is done in class with teachers and students discussing and solving questions. 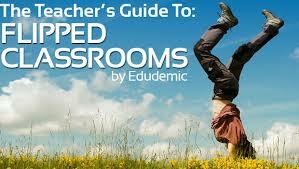 Teacher interaction with students is more personalized – guidance instead of lecturing”. I became fully aware of that, after reading an enthusiastic article on “La Repubblica” few days ago, which praised a book ” La classe capovolta” ( the flipped classroom), written by Maurizio Maglione a teacher of Chemistry at high school. Oh my Gosh, I was a revolutionist and I didn’t know it. I’m not a revolutionist and they are not revolutionist as well. This modern “flipped” vision of the role of teachers dates back at least to the eighteenth century when Jean Jacque Rousseau in his book Emile wrote that education does not mean merely imparting information or storing knowledge. It is not accretion from without, but the development of the child’s natural powers and abilities from within. He only couldn’t have Internet as didactic weapon. I’m sure he would have enjoyed it.